With summer firmly behind us and winter fast approaching – here’s something to stave off the winter blues and evoke warmer times to come! 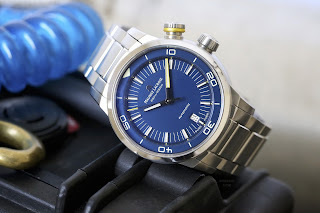 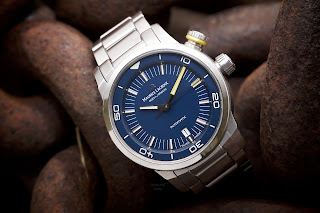 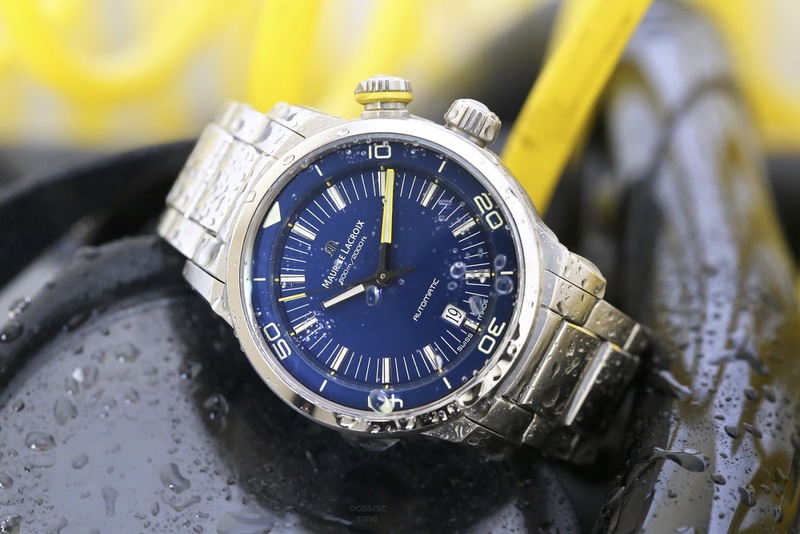 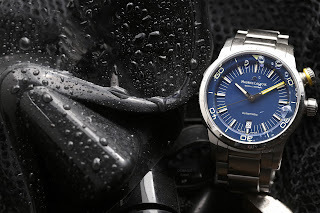 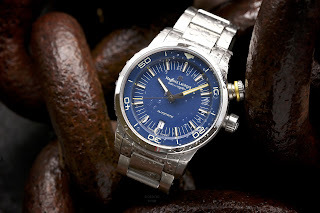 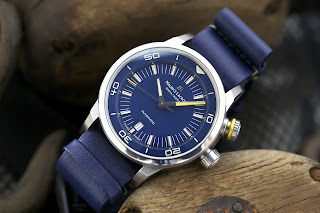 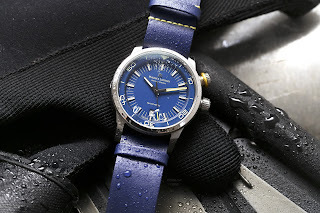 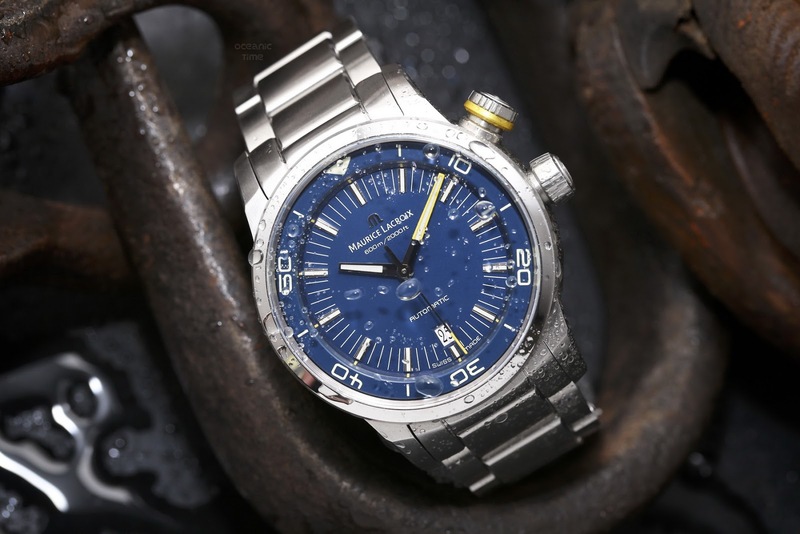 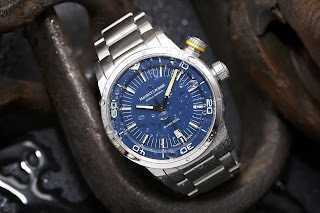 Maurice Lacroix has created an good-looking new blue version of their popular Pontos S Diver. the new Pontos S Diver Blue Devil Limited Edition takes its name from Southern Blue Devil, a brightly colored yet fiercely territorial species of fish found in coastal waters of eastern Australia. Although shy and secretive, the males have been seen aggressively defending their territories in caves or overhangs from other cheeky males trying to muscle in on any potential females. 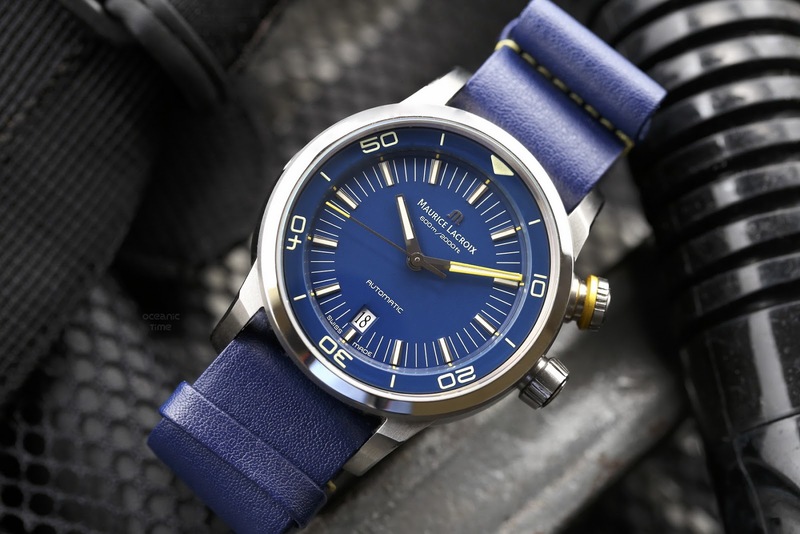 The Southern Blue Devils are protected due of their low numbers, and their desirability in the marine aquarium industry. 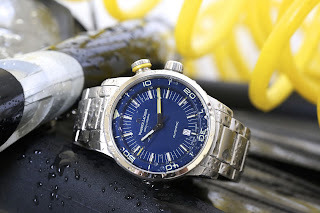 the Pontos S Diver Blue Devil has the capability of withstanding pressure from depths of up to 20 times that. 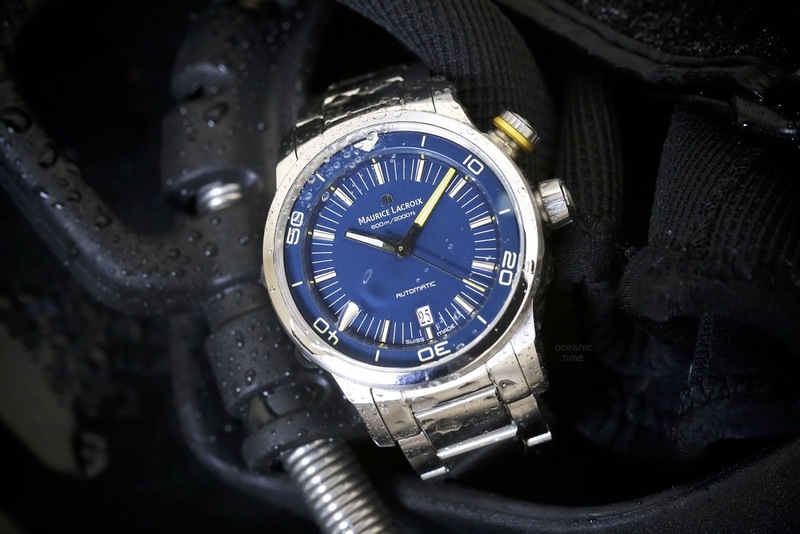 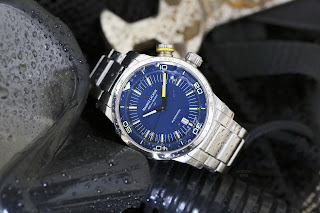 With a water-resistance of 600 meters, the Pontos S Diver is the most diving orientated model in Maurice Lacroix’s current collection which includes some other divers models. 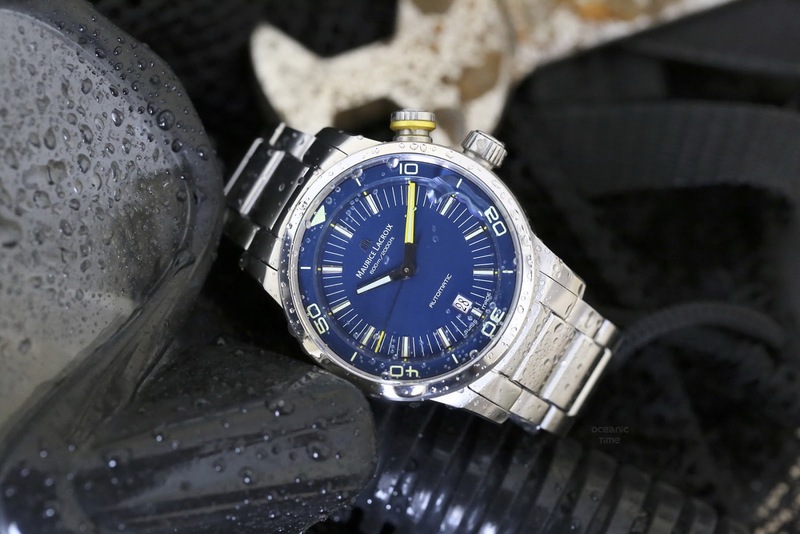 Its divers dedicated features include: said 60atm of water-resistance, screw-down crowns for both time adjustment and its internal rotating dive-timing bezel, and a Helium Escape Valve. 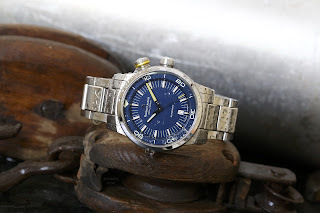 It is from this competent dive watch base that Maurice Lacroix created the Blue Devil LE. 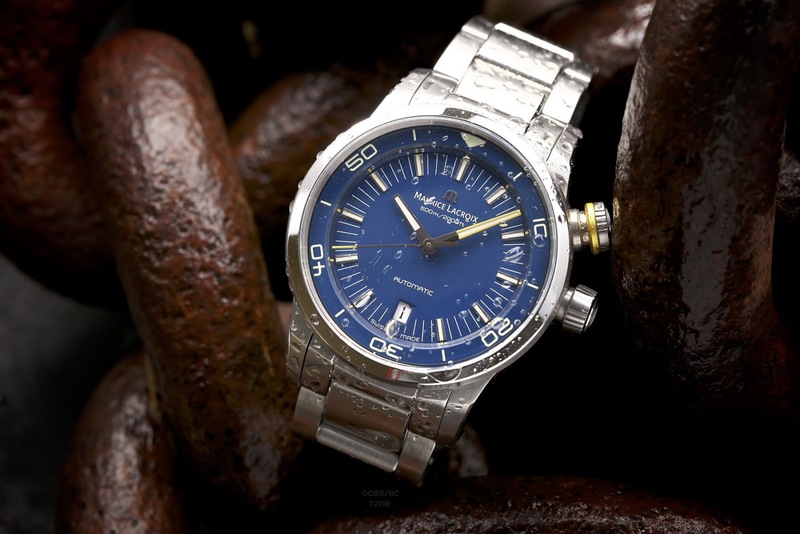 Echoing the color of the ocean, the Blue Devil LE features a stunning blue dial. Blue also happens to be the best performing color when descending into the depths. 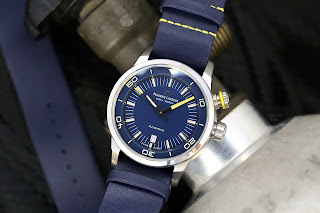 And like the Blue Devil fish from which it takes its name this new version of the Pontos S Diver has some yellow accents on its face. Yellow is also one of the best performing colors for the various lighting conditions that a scuba diver might encounter. The Pontos S Diver Blue Devil Limited comes in a set that includes three straps - presented in a waterproof dry-case. 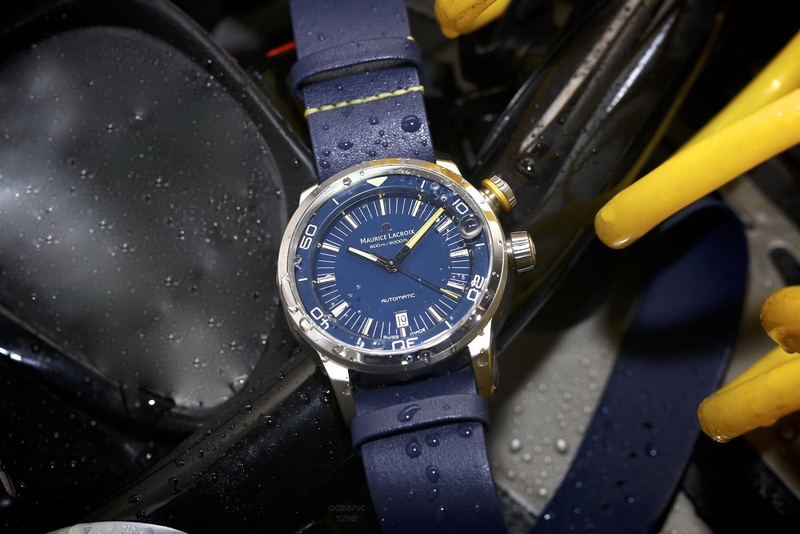 It is available in a Limited Edition of 100 individually numbered pieces from this November priced 2950USD from all Maurice Lacroix retailers in North America.